“That is something that has not been discussed at Cabinet level and when the Minister has decided that it is something he would like to move forward, he will bring it to the table and we’ll have a discussion as colleagues,” Dr Smith shared during a press conference on August 30, 2013. Premier Smith’s statement follows the recent announcement by Education Minister Hon. Myron V. Walwyn that the future of both exams may possibly be reviewed after their relevance had become questionable. “Over the next year the relevance of the primary five exams will be brought under much scrutiny and we will be seeking the views of all stakeholders before a decision on its future is made,” said Hon. 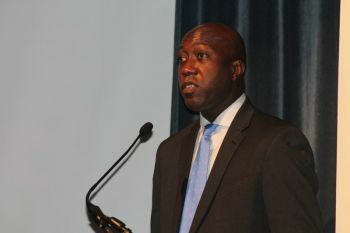 Walwyn in an address to hundreds of persons at the Professional Day activity at the H. Lavity Stoutt Community College (HLSCC) on August 26, 2013. Hon. 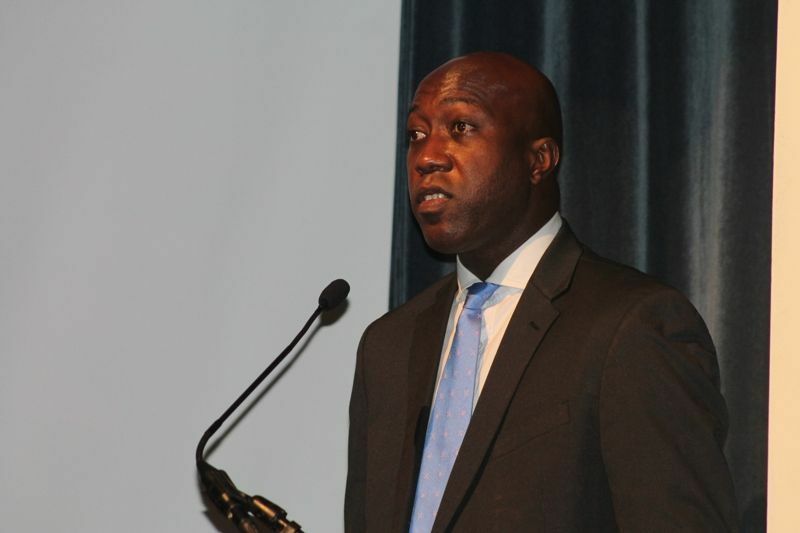 Walwyn stated at the time that until the discussion is further developed, he intends to act on the advice of a wide cross-section of teachers to revert to the 60% for exams and 40% for school-based assessment format. Primary 5 Exams might be coming too late! According to the Education Minister, the relevance of the Primary 5 Examination has now become questionable considering the Virgin Islands’ commitment to universal secondary education. “This brings into question our reliance on the Primary 5 examinations to move students on to secondary school. From the Department of Education’s perspective, this exam might be coming a little too late. We need to move on to a system that looks at testing our children at key stages of their development instead of relying on one exam to confirm their primary level education,” said Hon. Walwyn. “In our secondary schools we have a similar situation as we prepare those students to sit the national school leaving exams. Those exams count for 15% of the grade required to pass fifth form while 85% of the grade is based on course work in Forms Four and Five. So though we make a very big deal about the school leaving exams, it is very possible that a student can meet their graduation requirements without even sitting the exams,” said Hon. Walwyn. This, he added, brings the necessity of the school leaving certification system into question. With some observers sharing the opinion that both exams should be kept intact and others of the mindset that an approach similar to that taken by other Caribbean countries should be pursued, it remains unclear what direction will be taken following discussions with Cabinet and other stakeholders. Last year for Primary 5 & School Leaving exams? 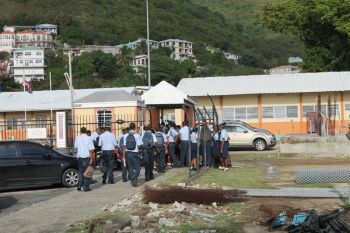 PARAQUITA BAY, Tortola, VI – It is highly likely that this academic school year may be the last for the Primary 5 Examinations in public schools across the Virgin Islands as the Minister for Education and Culture, Honourable Myron V. Walwyn has made public his discomfort with it. He further stated that until the discussion is further developed, he intends to act on the advice of a wide cross-section of teachers to revert to the 60% for exams and 40% for school-based assessment format. In his attempt to justify his position, the Minister said the systems of the Primary 5 Examination and the expectations and pressures that come with it do more harm than good to a child’s psyche and esteem. The Minister for Education said a credit system is one that can be considered since students acquire credits to graduate starting from Form One straight up to Form Five. 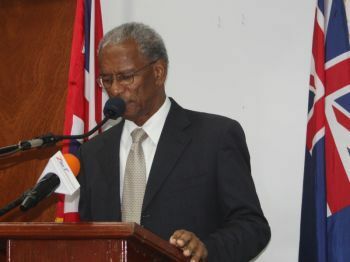 “Upon attaining the relevant credits they will then receive their school-leaving certificate, similar to the traditional college credit system.” He also noted that it alleviates the pressure students face by having to prepare for both the School Leaving Exams and the now mandatory Caribbean Secondary Education Certificate (CSEC) Exam that is administered by the Caribbean Examinations Council (CXC). You people are sick in the head. you talk pure nonsense, you complained about the education system and then when something is being done about it, you complain about that too. Lord help this country! As a parent and educator familiar with education standards in various countries, including the U.S, Finland and Switzerland to name a few, this is an good idea and a step in a positive direction. If you examine the top institutions, say in Finland, they don't do exams, but they do regular assessments on each student. Good idea Mr. Minister. I quite agree, keeping the children to the form of passing an exam in this 21 century is doing more harm than good. I got a friend who go abroad to school, let me say that he did very well at the local college, but went off to college abroad and fail the placement test at the college, then guess what? instead of been placed as junior student at the college that student was placed as a sophomore. Because he could not make the connection and comprehend the material, thinking outside the box I must say, it short change him. In Singapore teachers are paid because their student excel, not because they teach a class, if one student fail, that teacher will not get increment on their salary. We need new approach here in the BVI, how about going paperless for fifth form students. This will increase their ability to type quicker, think quicker and managed time. Because in college this is the behavior they will have to adopt, so giving this opportunity to High School Students will help them. 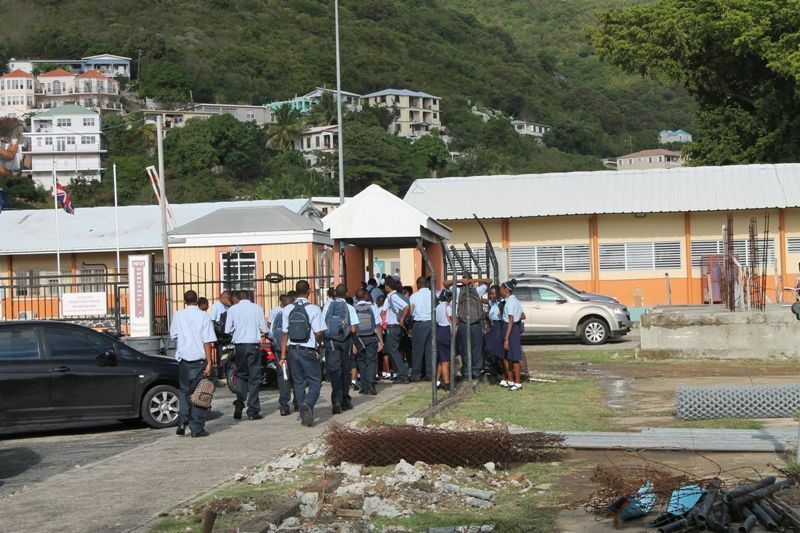 I will greatly appreciate if the primary five exam is abolished, is not an indication of the potential of our students, some salutatorians when in BVI High will perform greater than the Val that means the potential had been always there but because of nerves or how they felt the morning of the exam vary the whole thing. In my native country in my years of high school my teachers prepared me for life, reaching my total man not just to prove myself in paper. I agree with you. I have seen where kids who were valedictorians in Primary School could not make it through first form - what's wrong with that! The excitement was to train the kids to study and pass an exam, while they were missing a lot of basics. Hoorayyyy.............2 more years of "ramblings of nothingness"
u are so stupid..thats all u could of add to this discussion..hon walyn..do your thing..the idiots will be left behind..i mean the adults out here..baam,,,boom..baam! He is hard to listen to for very long. Russia a mystery wrapped in an enigma??? Myron please!! give yourself a break with deeds backwards polices dream up overnight and what you read in some book on a trip on tak payers dime. Mr. Minister you are fast becoming a bad penney. 100% agree with the Minister. Here we go again with Myron! Red Storm, that what they do to teachers regarding exams and success in that country? Well, I must research what they do to people who refrain from their duties as parents. Do you agree that parents have a very important role to play? Large part of the problem in the VI-degrading morals since the influx. Interested: Will I really cannot help off hand to reward of parents when they fail, but here one year in my law class that Canada do have a mad police in place, yes I said mad, in Alberta Canada, parents who do not help in homework are asked by that state to come sit by their children for a day or two to help them in class. Don't know how true is that. But it help to think outside the box. I do agree that parents have a very important role to play. I always tell my daughters that when I stay up in the nights and late afternoon at the library with them, it is because I want to see them succeed at what they do. I sacrifice and make the commitment for them to go to school so that they can have the right behavior that is acceptable in society, that they can have high grades, and they can demand the jobs they are qualify for. I sacrifice my education so that they can have theirs. I make sure they attend church each week. I kept the worship session with them to allow them to see that their forefathers (both male & female) believe in God and that through God there is strong power. But lets face reality, I cannot promise no one that now they are of age, they will not want to see what else the world have to offer; and this is where many people loose their children to social behavior that is not acceptable. Regardless, of what happen to our children, parents are accountable and responsible. We cannot sit and say that it is Jane daughter and Eddy Son them who is making trouble in the neigbourhood. We have to do like the old days, where the principles of life were instill in children, always use the golden rule " treat others as you want them to treat you". Look out for each other and help the neighbourhood children know that they must seek to educate themselves so that they can get jobs or create their own business. Let us help those parents who do not have the skills to manage their children future. I must say I like the thoughts you brought to the forum. I think its the way to move forward so I hope that the Minister will have the suport of his colleagues when he does move this forward. Too much is placed on these exams. well meh boy! what is the Minister of E&C eating? dont tell me that the minister jumped the gun again? Who is the Premier? How many times does the Premier(?) have to comment on some rant by a minister that has not been discussed in the HOA? Mr. Premier(?) exercise some party discipline, bell the cats and fire those with diarrhea of the mouth. Are certain ministers by their repeated actions saying that you are just a figure head and they can do and say as they like with impunity? Take charge, Mr. Premier! You have a 9-4 advantage in the HOA. Are there confidence in Archie, Dolores, Alvera, and Marlon? Time for some diversity among ministers. Loyalty and respect is a two way street. Like disinterested (mvw) ranking the back benchers Archice the best in reserve and MP is the least. @LOL. I'm not mvw nor was I ranking the Back Benchers. Nonetheless, since you broach the subject, members of the HOA should be able to serve as ministers or as BVI reps or ambassadors abroad. The phrase wrong and strong comes to mind. some of deeds ministers educational resume is only impressive on paper. For a man with so much education, he is woefully lacking ideas.